Why is the Douro Valley famous for its Port? The Douro Valley, or the ‘Valley of Gold,’ is home to the port wine producing regions of Portugal. Listed as a UNESCO World Heritage site since 2001, the valley has the perfect climate and soil conditions for growing grapes, which have been grown here for over 2000 years. Following the establishment of the Kingdom of Portugal in the 12th century, agricultural goods became one of the area’s key exports. The Treaty of Windsor, signed by England and Portugal in 1386, helped transform the Douro Valley into one of the best-known wine-growing regions in the world. Due to strong trade ties between the British and Portuguese, lots of English (and Scottish) merchants set up export businesses in Portugal. They brought in goods from the UK – such as fish – to trade, and exported wine and agricultural goods back home. A blockade of the shipment of English goods to France, imposed in 1667, caused King Charles II to retaliate by prohibiting the import of French wine. Looking for a replacement tipple to send back home to their thirsty patrons, the British exporters turned to the Douro Valley – and relocated to Porto, the nearest major exporting base to the area. ‘Port,’ named after the nearby city, is made by adding a bit of brandy to the red wine produced in the Douro Valley, which allowed it to better withstand the journey by sea to the UK. This increase in alcohol stopped the fermentation process, and resulted in a sweeter wine – which appealed to British taste buds. Eventually, everyone started adding brandy before the wine had finished fermenting, helping the Port age well and be suitable for cellaring. 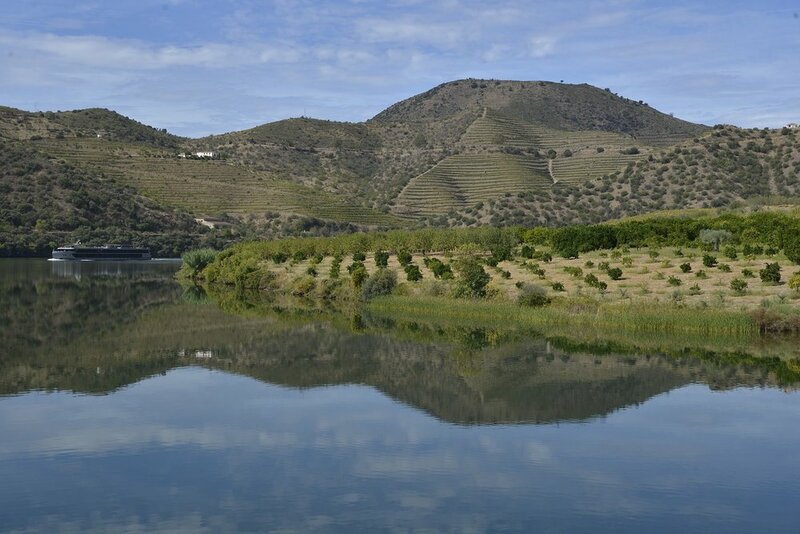 There is a lot you can learn about Port, and a visit to the quintas– vineyard estates – located in the Douro hills can be the perfect opportunity to learn more about this historical drink. How do I get to the Douro Valley? You’d assume that such an important area would be a busy and bustling place to visit. However, except for three hectic weeks of harvest each autumn, it is fairly peaceful, and perfect for a day trip from Porto. Over the last twenty years, most visitors to the Duoro Valley entered the region by cruise, or by a rickety old train. However, in 2016, a new road into the valley was opened, making it much easier – and safer – to get to the area. You now have the option to travel by river, road or train in order to visit this beautiful area of Portugal. What is there to see in the Douro Valley? Picture-perfect rolling hills of vineyards, to start! The Douro Valley is known for its beauty and river. While the river was once very fast flowing, eight dams were constructed on the river in the second half of the last century, making it much more lake-like. It was less pleasant for the historical rabelo boats that used to make their way up and down the river each day. 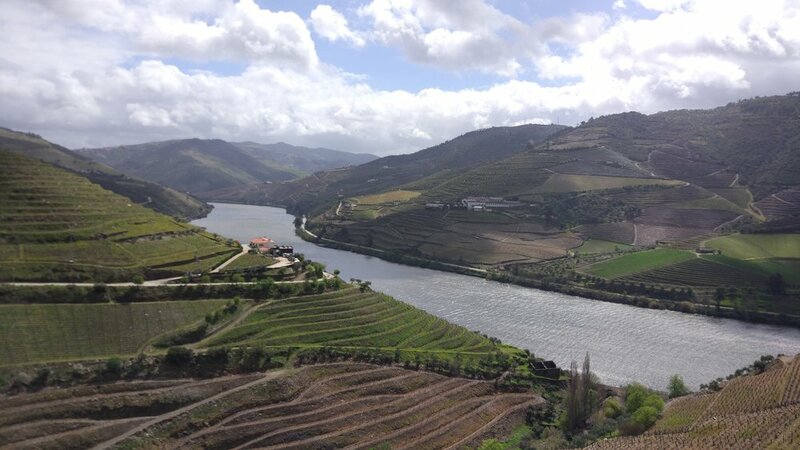 The Douro Vinhateiro – also known as the Alto (upper) Douro Valley – is home to many of the largest and most famous Port producers such as Taylors and Sandeman. Peso da Régua, located on the hill dominated by a huge Sandeman's logo, is the ‘capital’ of the area, and was where the wines were collected before being sent on to Porto by river. It is home to the Museum of the Douro and the Port Wine Institute. Smoked meats and and chouriço sausage feature on many of the menus at the local vineyards, most of which offer port and wine tasting sessions. When should I visit the Douro Valley? Even though there is a slight chance of rain, in spring or fall (April to June and September to November, respectfully) the scenery is colourful and the temperatures perfect for outdoor excursions. September is when all of the action happens, and you can even get involved in some good old-fashioned grape stomping! July and August are the busiest times of year, plus, the temperature can exceed 30ºc (mid-80’s F) – so make sure you stay hydrated (with water, not Port!) to beat the heat. If you’re looking to explore the beautiful Douro Valley, you’re in luck! Join our Best of Portugal trip to experience port, Porto and the Douro valley.